OnePlus was all busy preparing for its big event on October 30 in New York, where its next smartphone was finally supposed to become 100% official. And then Apple announced an event on the exact same day, in the same city even. 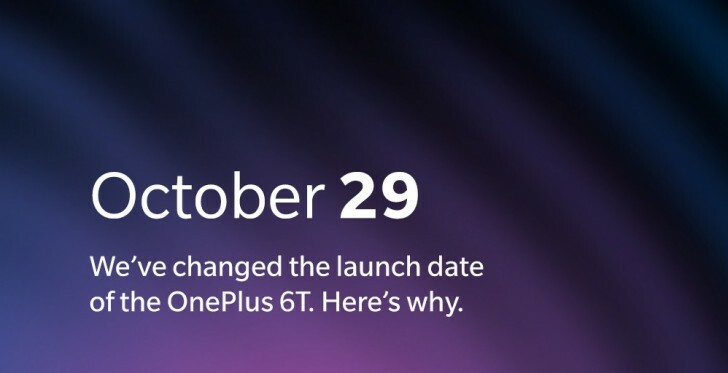 Because of that, the OnePlus 6T‘s unveiling is now taking place a day early, on October 29, still in NYC. Pete Lau, the company’s CEO, shared a lengthy post on its forums going into the decision process, and it basically all boils down to something along the lines of – “we didn’t want Apple to steal our thunder”. That’s understandable, given that Apple is Apple and OnePlus still considers itself a scrappy startup. “In any pursuit, you can only play the cards you are dealt. We were dealt a pretty bad hand. Our challenge was to find a way to make the most of a bad situation. For months on end, hundreds of people have poured their hearts and souls into creating our best product to date. Our goal is to make sure it gets the time and attention it deserves”, Lau says. He promises ticket refunds for those who won’t be able to attend on the new date, as well as covering any costs that the ones who do decide to show up might incur – things such as paying to switch flights or change hotel reservations. The OnePlus team will be getting in touch with all ticket owners individually to sort things out.